Not really – I intentionally released it into the wild (que maniacal villain laughter). 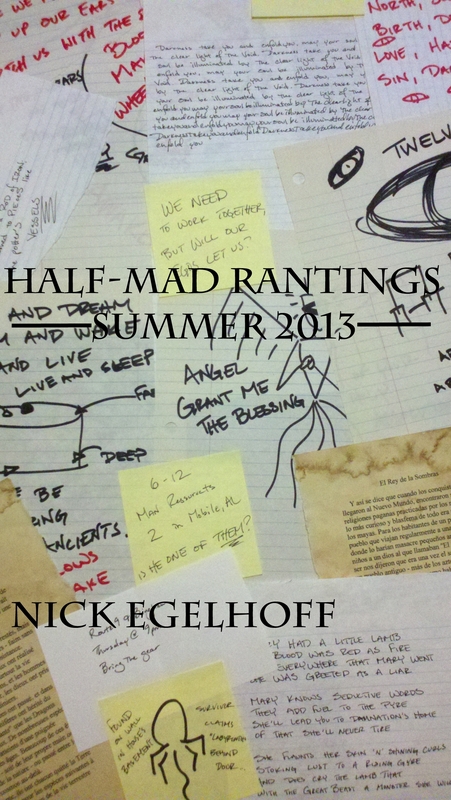 Anway, Half-Mad Rantings: Summer 2013 is now live and available for consumption. It contains everything published since May through the end of July, plus two new stories “A Story to Tell” and “It Gets Me in Trouble”. So go on over, buy a copy, leave a review, and tell your friends. In other news, I’ll be taking the next week or two off from doing Flash Fiction challenges to work on some other stuff. So, see you in a few weeks! Flash Fiction Challenge: WTF Is This Thing? So, this week’s challenge was to write a story explaining a current scientific curiosity: long-story short, someone down in the Peruvian Amazon noticed a little web-like structure (around 2mm or so), that resembles a spire surrounded by a fence, on the side of a tree. Nobody knows what the hell makes it. Entymologists have some good guesses, but that’s it. Guesses.